Sterling silver. 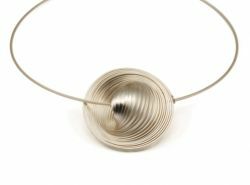 Bold and dramatics neckpiece with a 5cm swirl diameter. The swirl shell form allows a degree of movement and flexibility. When worn it often catches the light with a striking effect. 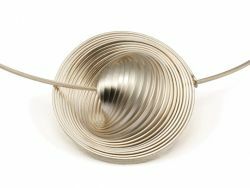 The necklace comes with a 3mm silver tube neck wire, with a simple hidden tension clasp. Please select your preferred neck wire length.